PHILADELPHIA (WPVI) -- An American Airlines flight from Charlotte, North Carolina bound for London had to be diverted to Philadelphia International Airport Thursday. 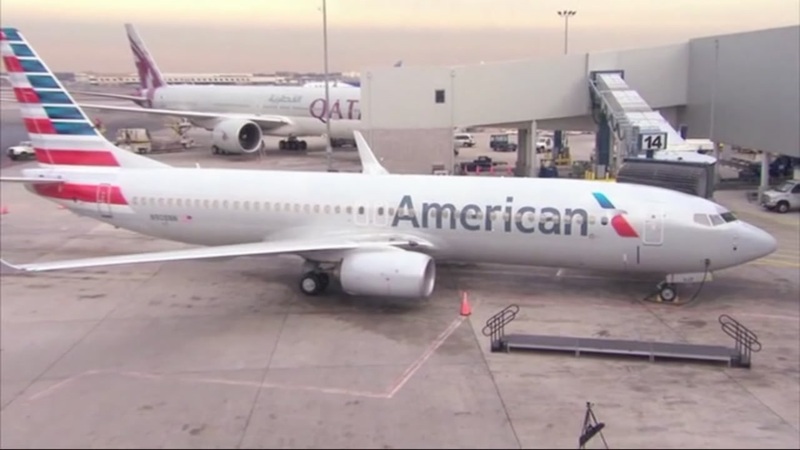 The flight landed in Philadelphia at 5:37 a.m.
"American Airlines flight 732 from Charlotte Douglas (CLT) to London Heathrow (LHR) diverted to Philadelphia (PHL) due to a disruptive passenger. Law enforcement met flight 732 on arrival at Philadelphia." A source with the FBI tells Action News that they did respond to the scene, and described the incident as a medical issue. So far, the passenger's identity has not been released.